Rail is one such thing which has been associated with the Indian society and culture since the beginning. Modern life can not be thought without the railway- inactive, in a word. The question of earning thousands of people's livelihood- it is constantly rotating with the rail wheels. All these people who are known to laugh and always aware of the constant travel pain and call themselves 'Delipashand'. We have been found in the phrase of 'Delipashand', the simultaneous expression of the trouble and the joy of the train journey. By collecting material from literature and fiction, the authors have described of the facetious experience of local and foreign rail passengers. 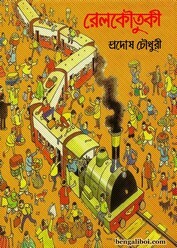 The book is an unprecedented addition to Bengali sapful literature.